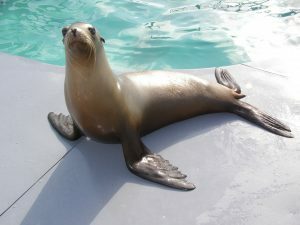 Our youngest adult sea lion, Cali was born in 2003. 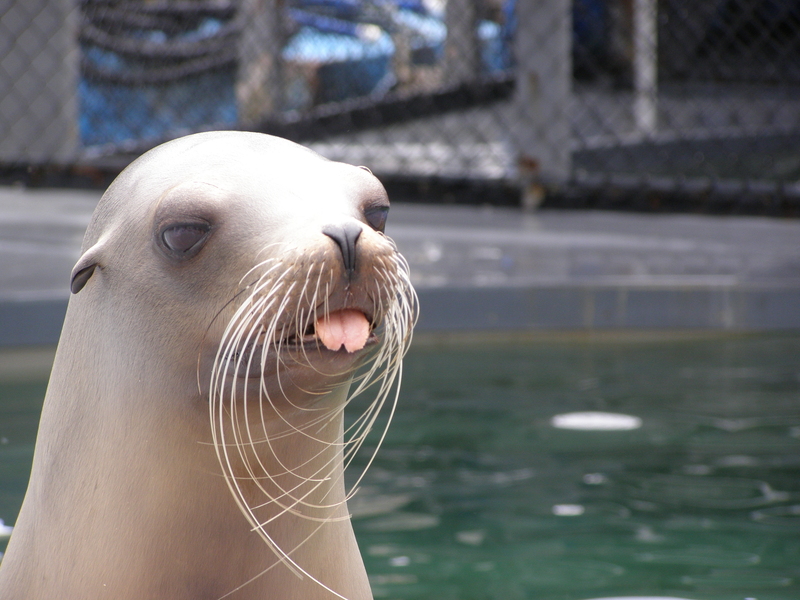 Her mother was a wild sea lion who stranded with demoic acid poisoning and gave birth prematurely before dying. Cali was hand raised by the Sea World San Diego stranding staff and barely survived with a variety of lingering health problems. Due to her health and behavioral issues, and being very human attached from hand rearing, Cali could not survive on her own in the wild and we adopted her in 2004. Cali is a very quick learner and is anxious to please. She has learned many complex behaviors through out her life here with us, from medical exam behaviors to participating in our research studies. Cali is also our very own superstar! Not only preforming in our educational Stewards and Sea Lion Encounters demonstrations, but she has even been on sets in Hollywood! Cali is very playful and enjoys her toys and enrichment. She is overall one of the fastest learning animals our staff has ever seen and is a joy to train. Check out some of her amazing works of art!